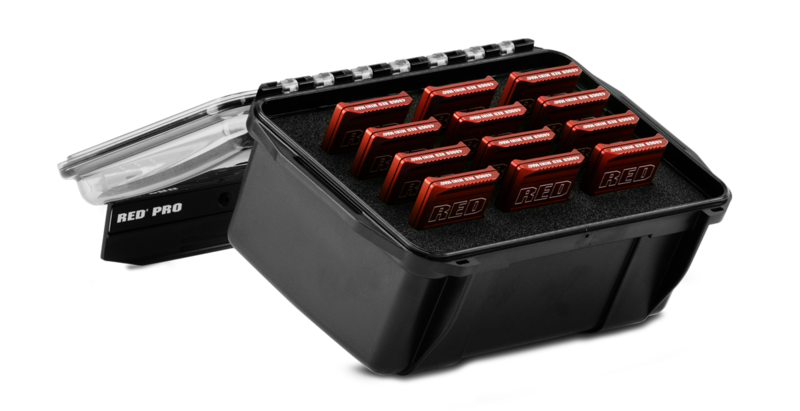 This kit of 12 RED DIGITAL CINEMA RED MINI-MAG SSDs and a water-resistant case provides you with recording media and a protective case for transportation and storage of said media. Each SSD has a capacity of 480GB, is compatible with most RED cameras (may require SSD module), and on select cameras can attain write speeds as high as 300 MB/sec. 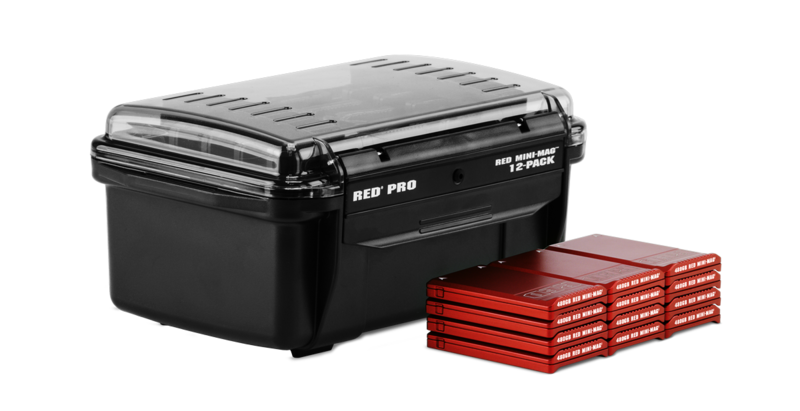 The RED MINI-MAG can support simultaneous R3D and Apple ProRes recording, when used with DSMC2 camera systems.